Waterproofing will help to maintain your floors for the long-term. It will also protect your household from health problems related to exposure to high moisture levels. You don’t have to call in a professional to waterproof your floors. You can waterproof your floors effectively with the right waterproofing primer. Follow the simple steps below. Sweep the floor clean. This will remove dust and other debris from the surface and prevent the occurrence of voids or uneven areas on the floor. You can also use a dry mop or vacuum to ensure that the surface is dust-free and smooth. Apply the primer. Use even strokes and work on small areas at any time. This will help to ensure that the end result will be an even floor. Inspect the floor after the primer has dried. Use silicone to fill and seal any gaps on the floor. This will ensure that there are no areas through which moisture can penetrate the floor. Pay special attention to the edges of the floor. The floor in these areas is likely to have some separation from the wall. Apply concrete to the floor edges to prevent the penetration of moisture at these points. Choose a color and apply a coat of waterproofing paint on the floor. You can use a regular brush to apply the paint on the floor. Mix the paint in a tray to make the application process easier. Use a paint that is compatible with your floor. 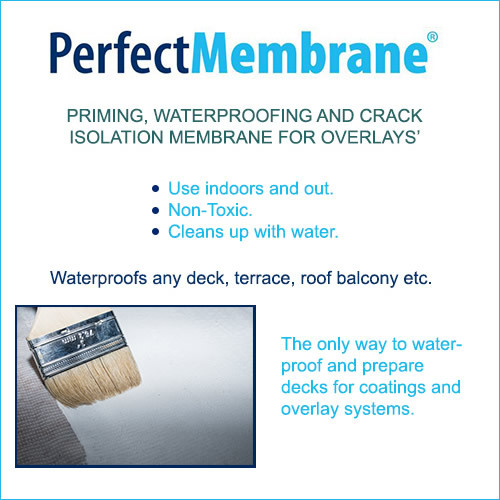 Waterproofing, when done right, will effectively prevent moisture damage to your home.